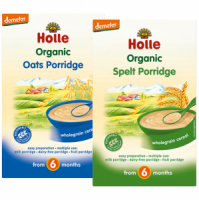 A wholesome pudding for your baby made with organic pear and whole grain spelt flakes. Healthy and filling. Ideal if you are out and about. 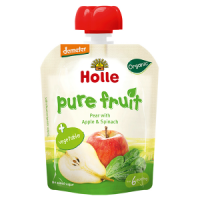 All our Holle fruit jars are pasteurized at approximately 70℃ using modern production methods (the harsher sterilization process of 120℃ is therefore not used). 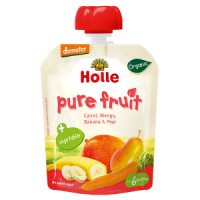 Through using this special method the fruit jars retain their ingredient's natural colour and maximum aroma, helping your child develop a love of good food. 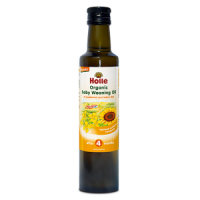 Free from dairy products, no added sugar and/or thickening agents. Contains gluten. Pear** 68%, water, apple juice concentrate* 4%, SPELT flakes** 3%, rice semolina*, lemon juice concentrate*. 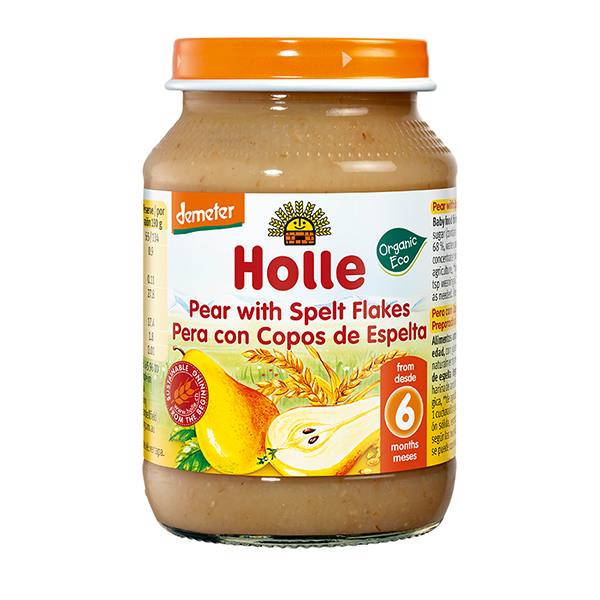 Delicious and nutritious - one of our favourites by Holle. Little spelt flakes give it nice texture that my baby loves.